Instead of holding yoga poses or plain falling asleep in front of Wii Fit, Ryo has built a jogging simulator that uses the motion of a Wiimote to mimic running down any Google Maps street. The interface, which is a little slow, is controlled simply by sticking a Wiimote in your pants pocket and running on the spot in front of the computer, revealing Tokyo in all its glory as you virtually speed through Shibuya, Shinjuku and the rest. 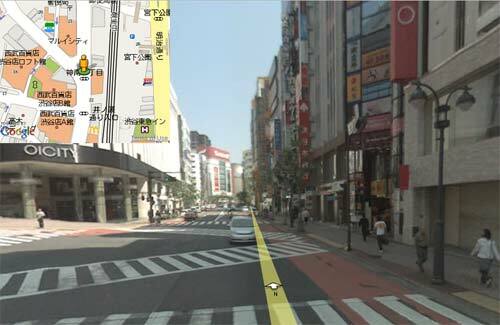 Katsuma’s Tokyo Jogging site is still just a proof of concept, but it nicely showcases (there’s a vid too) his Java-powered link between the Wiimote and Google’s Street View interface. He even says he might work it up a little and introduce elements such as the ability to view others on the system running nearby and a ranking table. If you fancy giving it a crack yourself, the goodies are all available through Google Code, so go get it while it’s hot. Sponsored links: Incredible online 640-864 dumps training programs & ccnp certification help you in pass 646-578 exam regarding ccip. We offer best quality 640-461 training tools for your success.